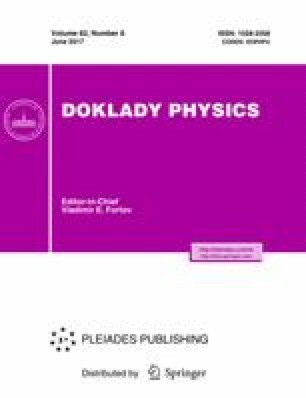 A series of problems concerning interaction between an ice field and a vertically plane construction has been solved numerically using a computing system based on the discontinuous Galerkin method. The results of calculations have been processed, and the maximum global load upon the construction at different physicomechanical parameters of ice has been analyzed based on these data. The chosen parameters were Young’s modulus, the yield stress, tensile stress, and plastic failure strain. Original Russian Text © V.A. Biryukov, V.A. Miryakha, I.B. Petrov, 2017, published in Doklady Akademii Nauk, 2017, Vol. 474, No. 6, pp. 696–699.